To celebrate our 125th anniversary, we’d like to share some of our proudest moments with you. Class of 1890: the first biology teachers educated at Cold Spring Harbor. When did America become a world leader in science? By 1890, America had reached its continental limit. What would Americans conquer next? 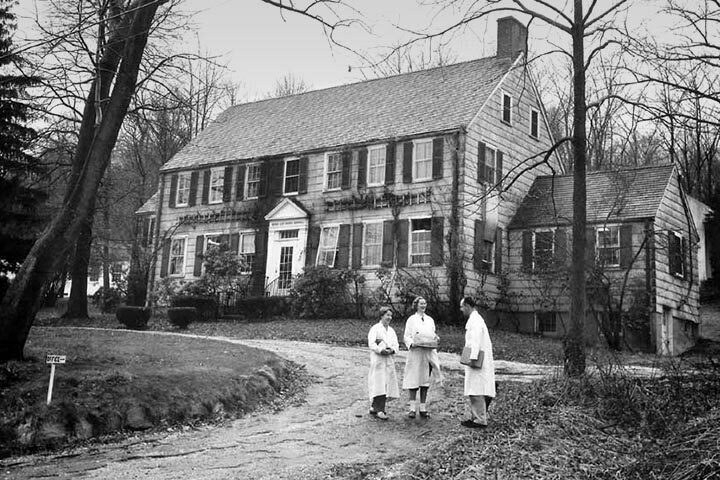 At Cold Spring Harbor, NY and other locations, American labs were beginning to test the theories of Charles Darwin and Gregor Mendel. Probing life’s secrets, American biologists were pioneers on an endless scientific frontier. This is the story of how Cold Spring Harbor biologists helped put America at the forefront of scientific discovery. 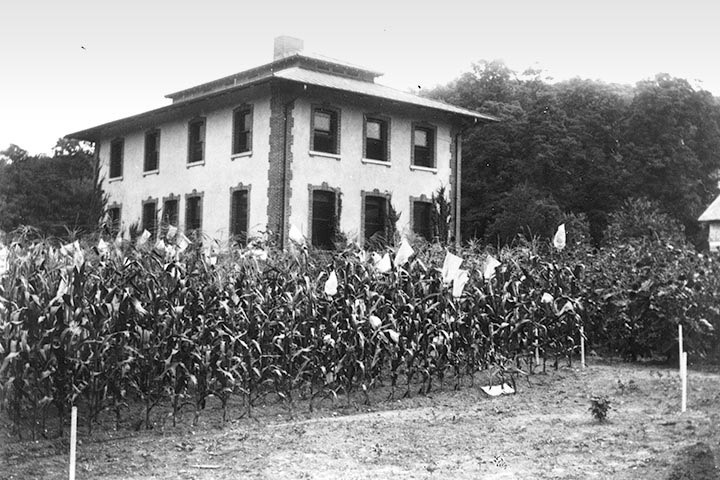 In a corn field next to the Carnegie Building at Cold Spring Harbor, George Shull discovered the secret to high yield: hybrid vigor. In 1893, a laboratory rose on the shores of Cold Spring Harbor to replace warehouses once used by the whaling industry. 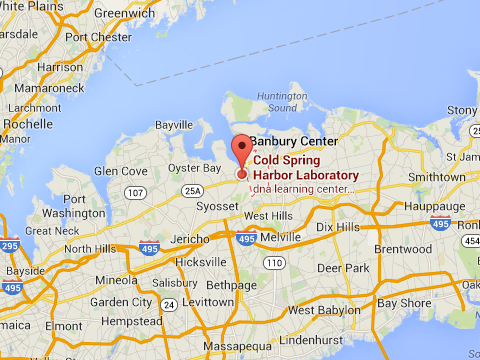 By 1904, Jones Lab and an adjacent field station funded by philanthropist Andrew Carnegie placed Cold Spring Harbor on biology’s map. Clarence Little shows in mouse experiments that some individuals are more susceptible to cancer than others. It is one of the first demonstrations that genetic factors are involved in causing cancer. 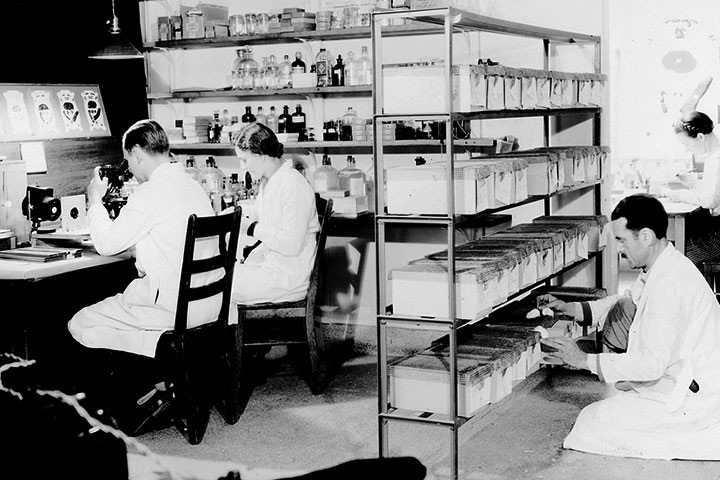 In the early 1920s, Cold Spring Harbor researchers took first steps in understanding cancer. By figuring out how to breed animals susceptible to the disease, they made a technological breakthrough. In 1928, E. Carleton MacDowell produced mice that always developed leukemia. With this predictable outcome, scientists could study how cancer developed. “Jumping genes” proved chromosomes weren’t fixed and explained shifting patterns in corn kernels. Later they helped explain diseases like leukemia. At Cold Spring Harbor, the discovery of hybrid vigor provided a foundation for modern agriculture. Later, the genetics of fruit flies and mice provided the first chromosome-level glimpses of the relation between inheritance and disease. This research helped place America among the most advanced scientific nations. Gentlemen, your work begins. Your aims are high; you seek to discover and utilize new forces for the benefit of man. There can scarcely be a greater work than this. Wartime discoveries made at Cold Spring Harbor saved the lives of injured soldiers. How did American science help win World War II? WWII exploded into consciousness like a bolt of lightning. Hitler’s troops stormed across Europe and North Africa. Japan roused America with its attack on Pearl Harbor. As Allied armies gathered strength, scientists on the homefront drew upon research in physics, chemistry, and biology to contribute to a war for the survival of the free world. 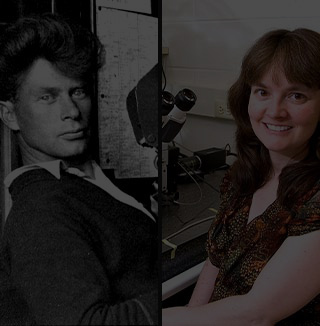 Cold Spring Harbor researchers made discoveries about chromosomes and the impact of mutations by studying fruit flies. American scientists were asked by President Roosevelt’s director of R&D to convert research into tools to win the war. Milislav Demerec was Cold Spring Harbor’s newly appointed Director. A world leader in chromosome genetics, he now focused on mass‑producing life‑saving antibiotics. US War Department engages Cold Spring Harbor scientists in experiments on aerosol mists. They invent the Cold Spring Harbor Aerosolizer to deliver fine mists carrying antibiotics to fight lung infection or injury. Four Cold Spring Harbor buildings were used for war research. In James Lab, a technique was invented to measure the earth’s magnetic field and used in anti-submarine warfare. In Nichols Lab, a nozzle was developed that could distribute fine mists at low pressure, a basis for administering penicillin in aerosol form. At Nichols Lab, work on aerosols led to devices to deliver both medicines and smoke screens. Penicillin experiments were part of a portfolio of US wartime achievements that included nuclear fission and radar. These persuaded Congress to establish continuous government support for basic research in independent institutions like Cold Spring Harbor. Science helped win the war, and has led America forward ever since. The wartime research experience of scientists in universities and private industry should be used in peacetime for improvement of the national health, creation of new enterprises, and betterment of the standard of living. 25‐year‐old James Watson first presents double helix to a public audience, at 1953 Cold Spring Harbor Symposium. What was the “the secret of life” discovered by biologists in the 1950s? 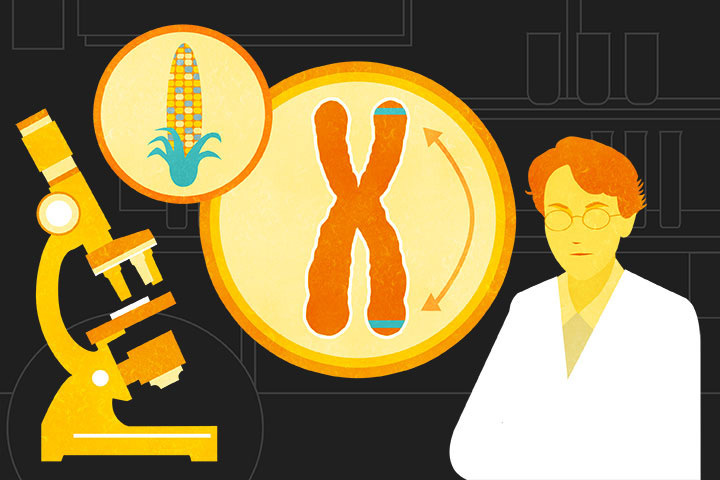 By 1900 scientists knew chromosomes carried traits like those Mendel tracked in pea plants. By 1910 the word “gene” denoted the factors in which such traits were thought to reside. But no one yet knew what genes were made of or how they worked. No one had figured out the secret of life. Max Delbrück (L) and Salvador Luria found the relaxed atmosphere at Cold Spring Harbor ideal for incubating the new science of molecular genetics. 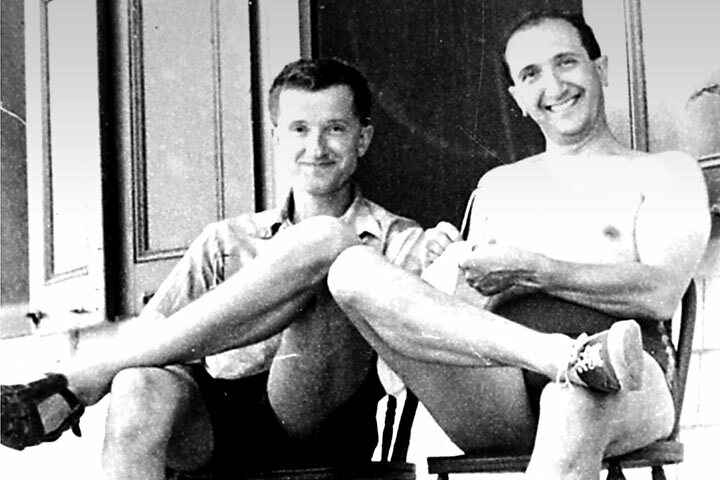 In 1941, Max Delbrück and Salvador Luria began spending summers at Cold Spring Harbor. They pursued the mystery of genes by studying a simple process in which tiny viruses, called phages, infected bacteria. Joined by Alfred Hershey in 1943, they formed the Phage Group, which would revolutionize our view of life. The three founders won Nobel Prizes in 1969. Luria’s graduate student, James Watson, is captivated by Delbrück’s Phage course at Cold Spring Harbor. This sets Watson on a path to solve the DNA puzzle and marks the beginning of his love for the Laboratory that he later directs. 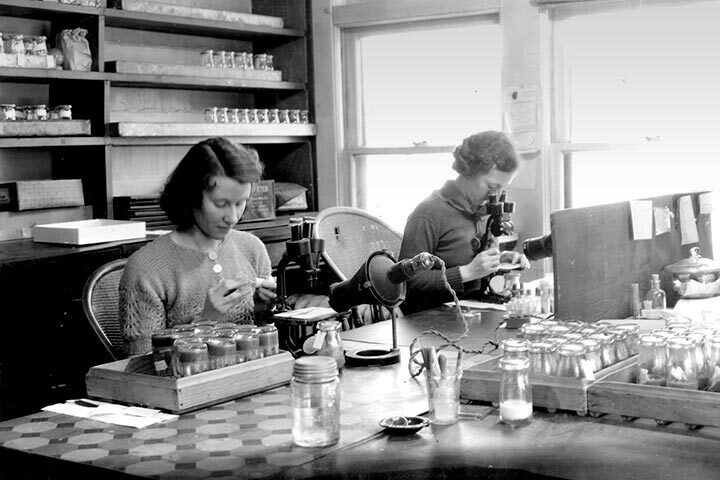 In 1952, future Nobelist and CSHL Director Hershey performed an experiment with Martha Chase that was simple and historic. Using a household blender to separate a solution containing phage-infected bacteria, they settled a big question. The material in the virus that “transformed” the bacteria — into factories for viral reproduction — was DNA, not protein. In 1953 Watson, working with Francis Crick in Cambridge, England, made one of biology’s greatest discoveries. They deduced the twisting-ladder shape of the DNA molecule — a double helix. This shape explained how the molecule of heredity works. The ladder carries life’s instructions encoded in the sequence of its chemical “rungs.” They shared a Nobel Prize in 1962. Watson returned to Cold Spring Harbor to give the first-ever public presentation of the double helix. 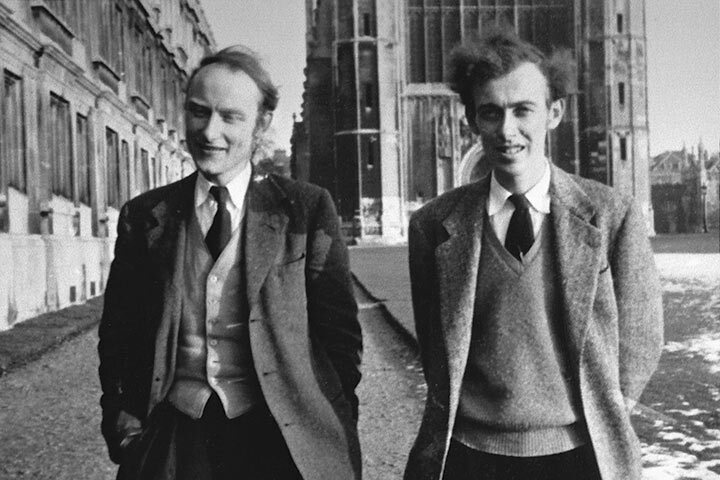 Crick (L) and Watson at Cambridge, when they deduced the structure of DNA. Once DNA sequencing was possible, DNA forensics began to emerge. Crime-scene evidence containing DNA can help incriminate the guilty and exonerate the innocent. Scientists meeting yearly at Cold Spring Harbor incubated the science of molecular genetics. The field’s signature discovery was made at Cambridge in 1953, when Watson and Crick discovered DNA’s double-helix structure. At lunch, Francis [Crick] winged into the Eagle [pub] to tell everyone within hearing distance that we had found the secret of life. Nobel laureate Richard Roberts led the search for enzymes to cut DNA, an enabler of the biotech revolution. What have we learned in the War on Cancer? The 1971 National Cancer Act was the opening salvo in the War on Cancer. An infusion of federal funds to support the National Cancer Institute and academic research reflected a lesson of World War II R&D. Great things could be accomplished with a sense of urgency and a readiness to invest. Biology was poised to take great strides. In 1982 Wigler demonstrates that a human gene, when mutated, could cause cancer. Such genes are called oncogenes. In 1972, CSHL received its first “cancer-war” grant from the government. James Watson, recently appointed the Lab’s Director, worked to make Cold Spring Harbor a top cancer research institute. CSHL brought together many superb young minds, pioneers in analyzing and manipulating DNA and studying the life cycle of cells. 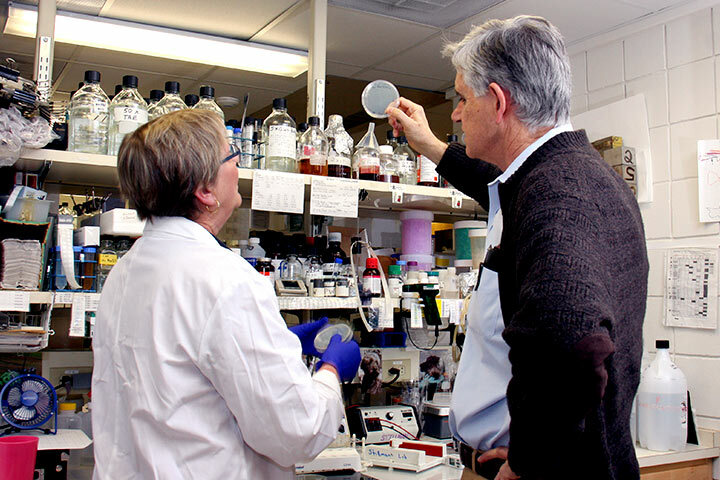 Director of CSHL since 1994, Bruce Stillman is a biochemist renowned for discoveries about how cells replicate their DNA, a process that goes awry in cancer. 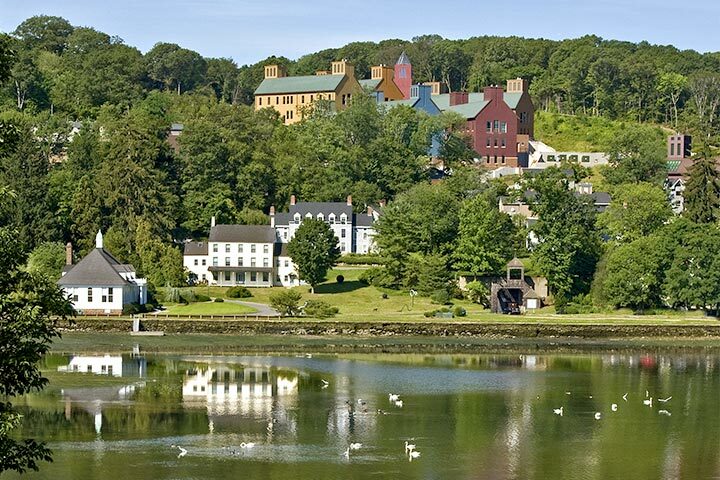 CSHL is designated a Cancer Research Center of the National Cancer Institute. This brings long-term support for the cancer program, sustaining CSHL’s world-class research. In the 1980s, CSHL scientists revealed how mutant proteins encoded by oncogenes caused human cells to grow out of control. Earl Ruley showed that some cancers start only after multiple genes become mutated. Ed Harlow showed how cancer progresses not only via activation of oncogenes but also by deactivation of genes called tumor suppressors. In the 2000s, Gregory Hannon engineered tools to shut off any gene in the genome, a boon in developing new cancer drugs. In the 2000s, Scott Lowe showed how specific mutations correlated with patients’ resistance to treatment. Cancer relapse became a research focus. Several CSHL teams created a way to quickly produce mice with the same mutations and treatment responses as patients. New treatment ideas could now be tested before translation back to people. Ground is broken on the Preclinical Experimental Therapeutics Facility. Part of CSHL’s Cancer Therapeutic Initiative, to deliver validated drug candidates to industry for rapid development. Today we know most of the mutant genes that drive tumors. We know how these mutations cause cells to grow out of control. With this knowledge we can make some common cancers chronic, not killer, diseases. The next focus: stopping metastasis. In 40 years we’ve gone from knowing nothing about how a normal cell became a cancer cell to being able to describe that process in exquisite detail. 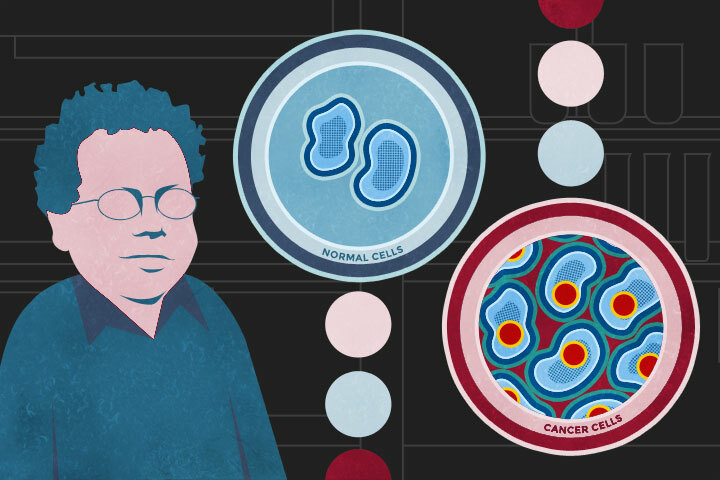 This is driving changes in how we prevent, diagnose, and treat cancers. Modern genome sequencing machines can process 3000 genomes a month. The first full human genome took a decade to assemble. 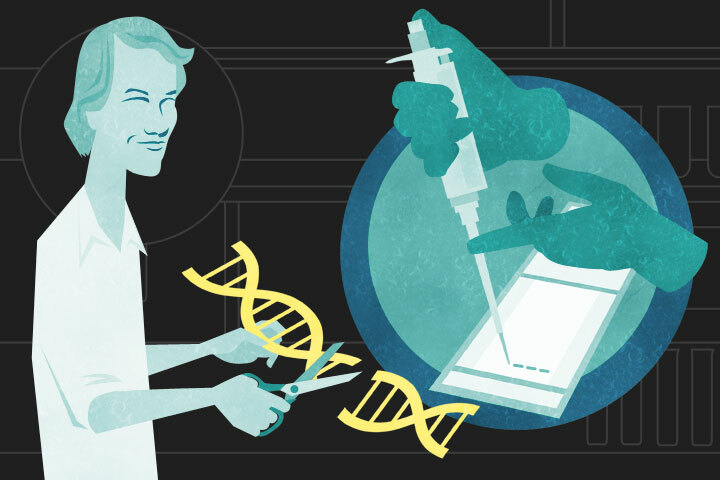 Has the Human Genome Project brought us closer to cures for diseases? What goes wrong in genes and proteins to cause cancer or schizophrenia? In the 1980s, scientists thought about “spelling out” all 3 billion “letters” of the human genome. This code that defines our species would be a basis for seeing what goes awry in disease. At a CSHL meeting in 1986, scientists first debated a genome sequencing initiative. In 1987 James Watson argued the case before Congress, calling for a $3 billion, 15-year Human Genome Project. He was its first director, setting in motion an historic worldwide effort. 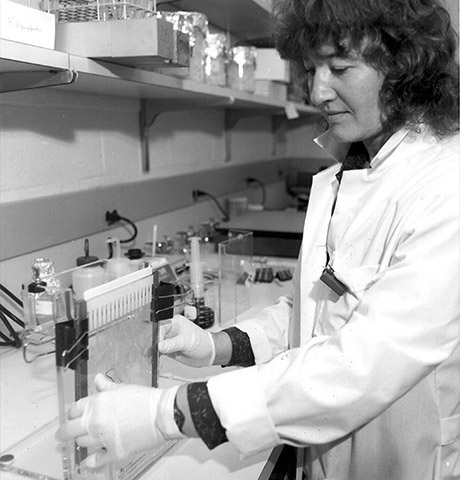 Carol Greider, a 2009 Nobel laureate, investigated the biology of chromosome-protecting DNA segments called telomeres. In the 1970s, Richard Roberts assembled a set of enzymes that act like scissors, each cutting DNA at a particular spot. This made DNA engineering practical, helping to launch the biotechnology industry. CSHL creates the DNA Learning Center, where children learn about genomes by doing experiments with their own DNA. Now a global model, the DNALC reaches millions of students and teachers worldwide. A method developed at CSHL to precisely compare genetic sequences of different individuals enabled identification of new genes in cancer and mental illness. In 2004, it led to discovery of copy number variations, extra or missing sections of DNA. Everyone has them. In an unlucky few, they cause devastating illnesses. Spontaneous mutations that can cause autism were first detected at CSHL. CSHL scientists help sequence the first plant genome—that of the mustard plant. They are also central in decoding the genomes of rice, maize, wheat, and other crops, providing insights to boost yields. Following Roberts’ Nobel-winning work explaining why genes can generate multiple, differing proteins, Adrian Krainer discovered how gene messages are spliced incorrectly in disease. A drug he helped invent in 2011 to correct a splicing error in spinal muscular atrophy (SMA) is in clinical testing. The Hannon lab shows modern human proteins are virtually indistinguishable from those of a Neanderthal who lived 49,000 years ago. The Human Genome Project has changed our understanding of ourselves, by providing a means to trace human evolution and migration. 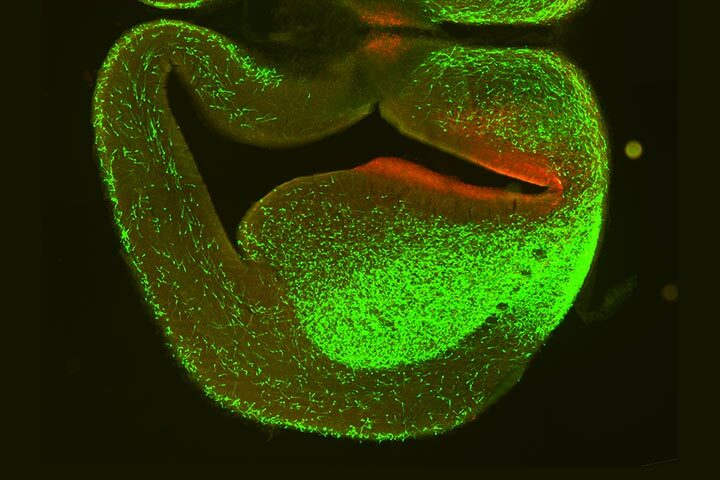 The Huang lab showed how young neurons migrate into the cortex. Defects in cortical networks underlie pathology in autism and schizophrenia. 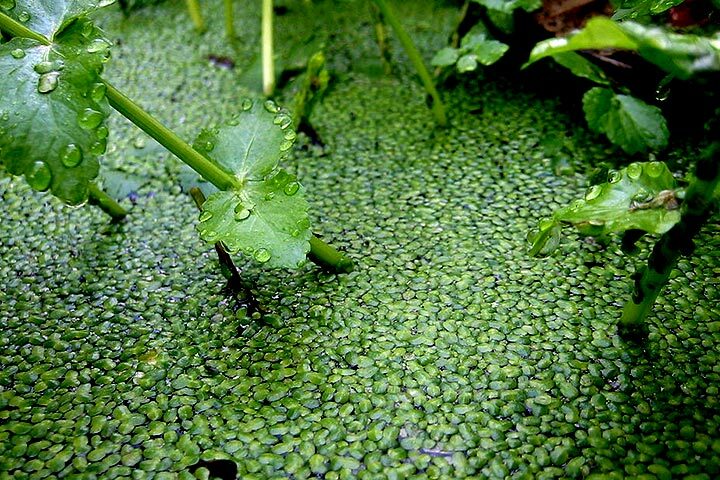 Robert Martienssen has developed a variant of fast-growing duckweed to pump out a clean, high-energy biofuel. Zachary Lippman discovers a way to coax the tomato plant to flower earlier. More flowers mean more tomatoes. Genetic knowledge helps feed a hungry planet. The Human Genome Project was just a beginning. Applications of genomics to problems of human health, food, and energy are multiplying. Cold Spring Harbor Laboratory is fulfilling the promise of molecular biology. Knowledge of genomes is advancing human health, agriculture, and energy production, changing the world for the better. Please join us for the next 125 years.